One of the few things you can get away with only in college is getting food delivered from a restaurant two blocks away from your home, and not feeling too guilty about it. 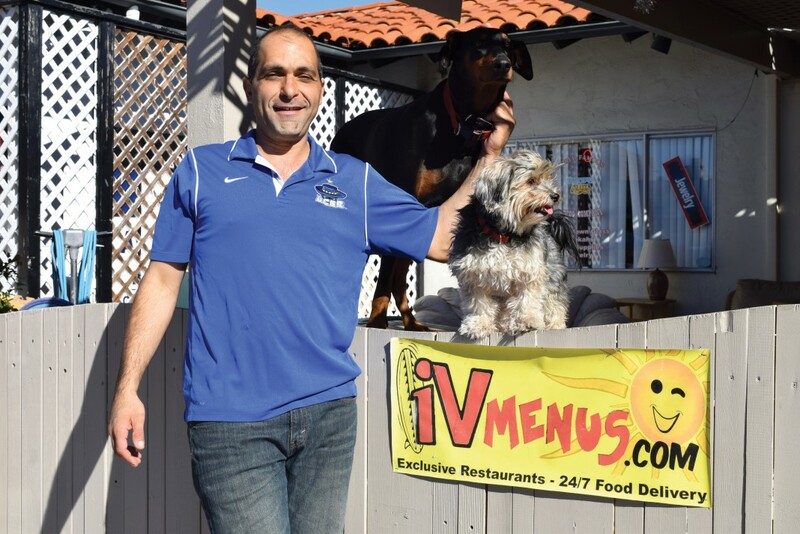 University of California, Santa Barbara Alumnus and IV Menus owner Patrick Galoustian was the first to start such a miraculous delivery service in Isla Vista. Within seven minutes of receiving the initial call, the three of us and his two dogs managed to squeeze inside the car, pick up the food from the restaurant and deliver it to the customer. It was all very exciting to see firsthand the hard work he puts into his business. He started doing deliveries in 2008, after driving for one restaurant in Isla Vista. Soon after, he started a basic website with menus of restaurants and allowed people to call in orders. He put things on hold, but came back two years later and launched IV Menus. Nonetheless, Galoustian still manages to remain positive and is quite the jokester. It’s easy to see the determination and drive Galoustian has to succeed. Galoustian has a big vision for IV Menus in the upcoming future. “We’re going to launch this new platform we’ve been working on for two and a half years,” he said. In the long run, Galoustian hopes to create a national brand delivery service. He let me know that he would love to work with college students who want experience in marketing, sales or even web design. Anybody who’s interested can definitely talk to him. The UCSB alumnus who graduated in studio arts with an emphasis in interface technologies and evolution of cyborg-ism offers some sound advice to his fellow gauchos. If you ever find yourself passing by the IV Menus office, be sure to stop by and say hi. It was hard determining who was more friendly: Galoustian himself or his two dogs Geenee and Snuggles.